Northampton hasn’t really had a high profile in terms of bands over the years (apart from Bauhaus, and I guess by extension Peter Murphy and Love & Rockets) but My First Tooth my very well start to change that. 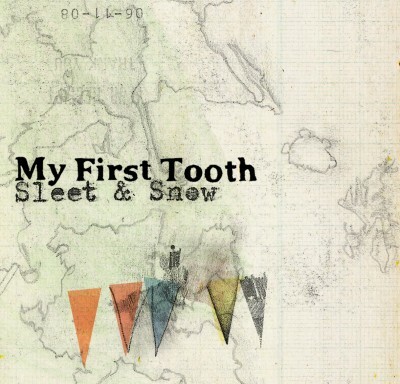 They’re shortly to release their second single ‘Sleet and Snow’ in April, and it’s a gorgeous piece of indie-pop that restores your faith in human nature and the power of music. (Then again, after my drive home this evening I guess my faith in human nature is easily challenged far too often). The band are front man Ross K Witt, who is joined by Bassist Jo Collis and Drummer Gareth Amwel, and Violinist Sophie Galphin. They’ve played with the likes of Woodpigeon, and are picking up support across the airwaves on the BBC, Absolute Radio and XFM. Their album Territories is out now on Alcopop! So…British guitar music is in the doldrums. But, never fear! 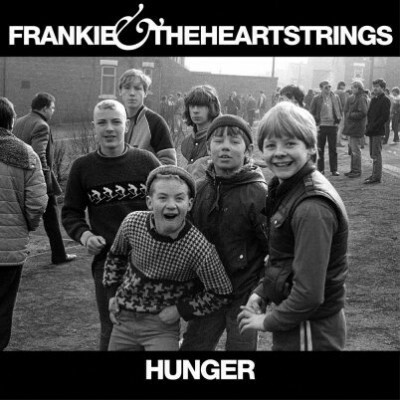 Frankie & the Heartstrings have come along to change that state of affairs. Umm, or maybe not. Maybe it’s my advancing years, but for starters, alarm bells ring when some sources said this was going to be the best British debut since Definitely Maybe. Yes, that was a great record, a great debut…but by God, it didn’t half usher in some utter rubbish. There have been plenty of bands whose work was not particularly original. There are unquestionably albums that I think it’s fairly safe to say both the band and I have in common. But this does not make for an interesting record. This album is unbelievably cliched and dull. It’s not even worth hating! I don’t doubt that there will be a resurgence of interest in British guitar indie bands. But records as uninspiring as this will not do it. Come back Johnny Borrell, we’ll let you off with a caution. 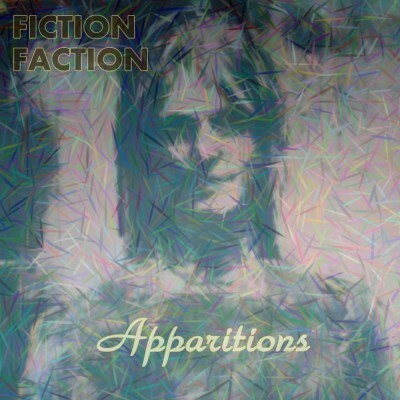 Yup, Fiction Faction have given us permission to post this free remix which they’ve completed in the last forty-eight of hours of 17SEC26, the ‘Apparitions’ single. Stream it here and download it below. …and yes, you can still buy the original from iTunes, eMusic etc.. Pop along and like Fiction Faction on Facebook. There’s very few videos that have ever reduced me almost to tears. One is ‘Hurt’ by Johnny Cash (if that doesn’t make you wanna weep, you have no soul). The other is this by Hiatus. 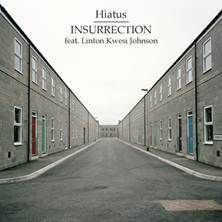 This track is called ‘Insurrection’ and features vocals from the legendary dub poet Linton Kwesi Johnson (absolute legend -actually met him him at the Edinburgh Book Festival in 2002!). This track remembers the Brixton Riots of 1981. Both Hiatus and Linton Kwesi Johnson call Brixton home. Though the area has changed over time, when people go on about 1981 being the year of the Royal Wedding of Charles & Diana, they should remember that the folks in many cities had more pressing concerns: Unemployment, racial harassment, police harassment, inner cities burning…plus ca change la meme chose, as the French say. This video looks like it’s from news footage of the time, and if this doesn’t make you burn with righteous indignation…God help you. The Tory politician Norman Tebbit had the insolence at the time to say that ‘My Father didn’t riot. He got on his bike and looked for work.’ (Screw you, Tory scum.) My A-Level Politics teacher used to say that ‘Riots are the ballot box of the poor.’ She was unquestionably right. Hiatus’ album Ghost Notes is out now. ‘Insurrection’ is out on April 11. It was a considerable surprise to everyone when former Zygotic Mynci’s mainman Euros Childs and Teenage Fanclub’s Norman Blake announced that they weregoing to collaborate on an album. Not least because they announced that it would marry the savage electronics of Wolf Eyes’ Burned Mind with the lyrical concerns of Deicide’s self-titled 1990 album. Of course they haven’t! Euros did do backing vocals for Teenage Fanclub’s most recent album, Shadows. Given the acts with which they are most associated, the album generally feels more Euros-driven than Norman. With the exception of the tracks ‘Circling The Sun’ and ‘The Goodnight’ which feel much more like Norman and ver Fannies. Overall, this is a very good, solid album. ‘Cave Dance’ is the album’s standout track, starting as a Super Furry Animals-style knees-up, and then going all kraut rock in the second part. On the other hand, ‘Bread’ feels as much like filleer as its’ culinary namesake. While this album offers no real surprises, and doesn’t reallyrate as being amongst the best projects that eitehr has been involved in, it is nevertheless a pleasant listen and worth hearing. Jonny is out now on Turnstile. This EP doesn’t contain any of the tracks from the album, but it’s free and it’s very lovely indeed. exlovers are just about to release thier fourth single. Released on Young & Lost Club, ‘Blowing Kisses’ and ‘Moth-eaten Memories’ are two grogeous tracks that say nineties all over again…and yet feel utterly fresh, exciting and necessary. exlovers were formed by Peter, the singer along with guitarist Chris, singer Laurel, bassist Danny and drummer Brooke at the end of 2007. This single is utterly more-ish, I can’t stop playing it, and I don’t find myself thinking about how or what it reminds me of, rather just what a great single and b-side. In fact, I’ve found over the last two or three weeks I often play the entire thing back to back several times. There’s an album on the way, too, recorded at Rockfield Studios with Demian Castellanos and Jimmy Robertson, which will be out later this year. Stream the single below -and download the b-side for free! Having released both the Swimmer One and Seafieldroad albums last year, 2011’s first release sees Biphonic continuing to build upon their reputation as purveyors of fine, Scottish electronic pop. 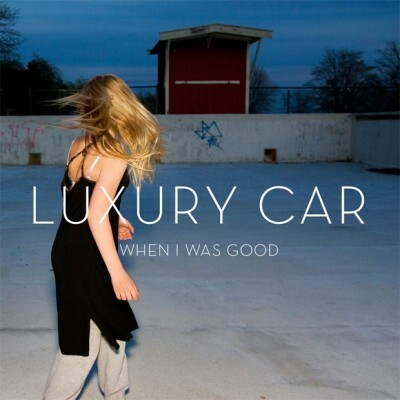 Luxury Car is songwriter John Robertson (guitars, keyboards, vocals) and Kieran Heather (bass), and was recorded with John’s brother William. At thirty-three minutes, it might appear short, but there’s an awful lot to enjoy here and play and appreciate again and again. The only thing that seems a little odd is the placement of ‘Shame’ at the end of the album. After six tracks of electronica, it almost seems a little incongruous to have a piece that’s solo acoustic guitar and vocal. No matter. This is a fine piece of work. When I Was Good is released on Biphonic on February 28. Kurt Vile (as opposed to Kurt Weill!) 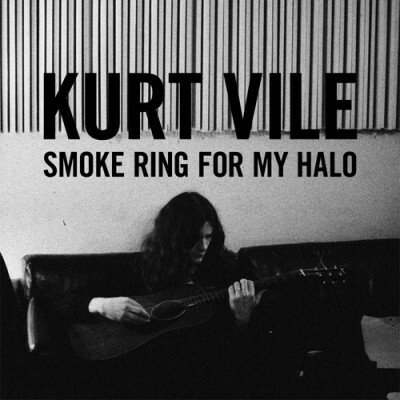 was one of those names that I had become increasingly aware of of the last few years, but his latest, forthcoming album, Smoke Ring For My Halo has already had a number of plays at and around 17 Seconds Towers. While the phrase ‘singer-songwriter’ has become something which i have started to dread, Mr. Vile totally transcends the image of the average singer-songwriter. No anodyne, glossy mush; instead this is a collection of songs infused with his own spirit, which doffs its’ cap to folk, alt. country and even the blues, but without descending into the irritating cliches. Matador know exactly what they’re doing -and so does he. Edinburgh five-piece Letters have certainly got parts of the blogosphere in a tizzy already. They are: Mikey Ferguson (Lead Vocals/guitar), Georgie Williamson (Cello/Vocals), Kerr Donaldson (Drums), Dougie Fuller (Bass) and Ed Ellis (Guitar, Vocals). 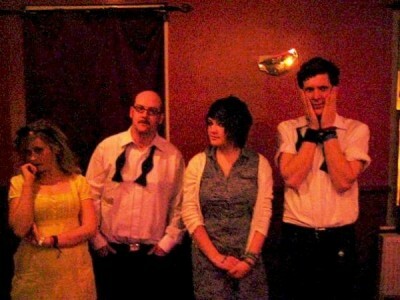 They just released their first, free-download only single ‘Grand National/Pipe Dreams’ last week. The Pop Cop declared them ‘the hottest new band in Scotland’ on his blog, before they’d played a gig. Their debut gig was the launch for the free single, which saw them supporting the Last Battle at Henry’s Cellar Bar (a great night, by the way!). They’ve also been championed over at Kowalskiy, for whom they gave this rather tongue-in-cheek interview. This single is certainly an excellent starting point. …and if you like it, Download it for free here at their website. There is a physical EP following in April. 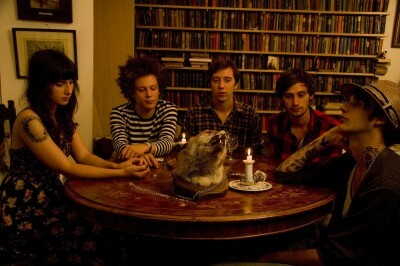 They support Wild Palms on March 4 at King Tut’s, Glasgow. 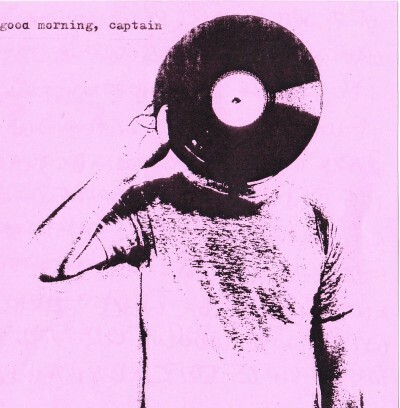 First up, on March 21, we will release a new EP by The Wildhouse, entitled Good Morning, Captain. At over fifteen minutes long, ‘Calvinball’ is the longest track we have released as a label. It is also the most extreme thing we have released, so very proud of that. This will be release 17SEC26. The Wildhouse play Drouthys, Dundee, on March 3. The Last Battle join Kid Canaveral for their SXSW fund-raiser, this Saturday night, February 26 at the Wee Red Bar at Edinburgh College of Art. Support also comes from Blue Sky Archives. In addition, The Last Battle will play The Old Bridge Inn, Aviemore on March 19 and MUSA, Aberdeen on March 20. Fiction Faction have a couple of gigs lined up for March in Glasgow. They join the bill at the 13th Note on the 2nd March with The Heebie Jeebies, Bwani Junction, and Johnny Reb. Additionally, they are supporting Scanners at the Captain’s Rest on March 29.